In British history, I have been really inspired by Nicoletta Gullace’s The Blood of our Sons: Men, Women, and the Renegotiation of British Citizenship during the Great War and Sonya Rose’s Which People’s War? 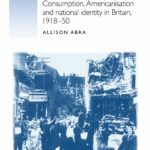 National Identity and Citizenship in Wartime Britain, 1939-1945. For thinking about how popular culture operates within societies, a really formative book for me was Janice Radway’s Reading the Romance: Women, Patriarchy, and Popular Literature. One of the most interesting locations I conducted research was in the archives of the Royal Opera House in London. The ROH was temporarily converted into a dance hall during World War II, and in addition to researching in such a lovely building, it was wonderful to be able to wander around a bit and imagine what it was like during its dance hall days. I really enjoyed the research process. Reassembling the history of popular dancing in Britain led me to a wide variety of different libraries and archives all over the U.K., where I looked at diaries, oral histories, social surveys, magazines, newspapers, advertisements, instruction manuals, government documents, and all kinds of other materials. Discovering the wide-ranging and disparate ways that dancing impacted and influenced British society was exciting, and I loved having the opportunity to see so much of the country. The breadth and diversity of sources I looked at – while they made for an exciting research process – also made it difficult to figure out the organization of the book once I got to writing. I moved things around quite a bit. Seeing the book for the first time was both thrilling and surreal. One of my graduate students works in the main office of the History Department at the University of Southern Mississippi, where I am a professor, and knew I was waiting on the author copies from MUP. When a large box arrived one day, he rushed it over with a bunch of other colleagues in tow and we all crowded into my office to look at it together. It was a great moment. I have respected and admired MUP books for a long time, especially the titles in the Studies in Popular Culture series. Given the subject, themes, and arguments of my book, it seemed like a natural fit for Studies in Popular Culture and I was very pleased that MUP agreed. I am currently working on an article, which might evolve into another book project. 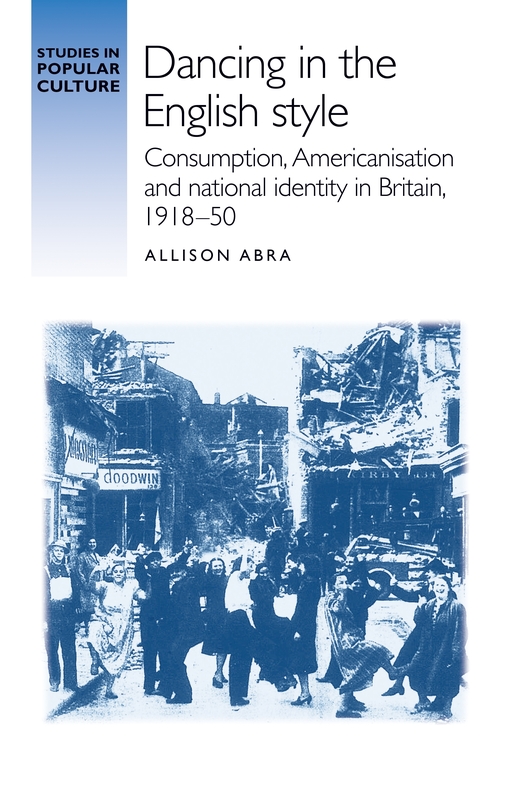 It expands on some themes and questions I address in Dancing in the English Style, by considering the relationship between popular culture and ideas about citizenship in World War II Britain. Dancing in the English style is available now! To learn more about Studies in Popular Culture, please visit the series page here.